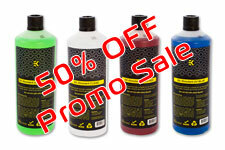 Each EK reseller/distributor has some initial quantity of EK-EKoolants at 50% promo discounted rate. After the initial stocks are sold normal prices will apply. Try them now! See our partner network here.